Formed in 1907 as the ABTA, BFBi provides an invaluable link between the trades and services supplying the Brewing, Food and Beverage Industry. Membership embraces companies supplying, manufacturing raw materials, ancillary products and services associated with the Beverage and Food Industry. successful consumer group in Europe. CAMRA promotes good-quality real ale and pubs, as well as acting as the consumer’s champion in relation to the UK and European beer and drinks industry. environmental advances, resulting in their lightweight glass bottle range. Branded glass has fast become the number one medium to promote your brand or brewery consumers are keen to associate themselves with key brands which have an image, style or in some cases expense. By using decorated glass a premium image can be achieved for both bottled beers and draught beers to promote a particular brand, award or to reinforce an exciting brand. 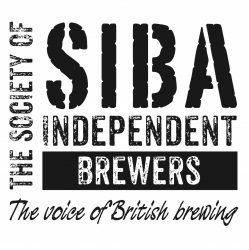 alongside the beers wines and spirits sector for 26 years, providing labels for businesses of all sizes from micro brewers to multinational brands. Renowned for reliable, quality production and great design, Label Apeel also offers a free design service to help products sell themselves onto the shelves of shops as well as off them. Muntons are a family owned, established maltster based in the heart of the UK’s prime barley growing region. We offer a wide variety of white and coloured malts, brewing adjuncts and extracts to the brewer both large and small, backed up by our in-house team of qualified brewers and technicians. 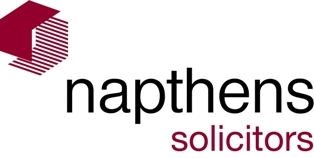 Napthens leisure industry experts provide an all-round legal service – whether you need advice on licensing law, employment law or business strategy. Our team has years of experience working with breweries & pub chains, so they understand the particular issues facing leisure industry clients and are able to provide proactive, commercially focused advice. Since 1774 the Rankin family has been supplying branded drinks industry with closure solutions. Through the design and performance of our products we premiumise aspirational brands and add value to local tastes & flavours. Whether you bottle or pack beers, wines, spirits or foods, we offer a wide range of closures to fulfill your needs . From design, through manufacture, delivery and after sales or technical service, we’re with you every step of the way.